Osama bin Laden is laughing in Hell. He got his way. He won. Let’s admit it and move on. Bin Laden predicted — correctly, it turns out — that through guerrilla tactics he could transform the Middle East from a place where ruthless American-backed dictators enforced a phony peace into a region where Christian troops would come from the United States to fight Muslim civilians. After a few false starts, he nailed it on Sept. 11, 2001. I was a witness. Bin Laden’s ultimate goal, though, was not to restart the Crusades, but to destroy the United States. He recognized that Americans had allowed their democratic institutions to become brittle. He thought — again, correctly, it turns out — that he could terrify America enough that it would destroy its own freedoms, like a snake eating its own tail. We have all been witnesses. We continue to be. I have remained silent here for several weeks. Privately, I have counseled people to look at what the new administration does, and not listen to a single word of what its leader says. And so here we are, less than two weeks into the new regime, and he orders a ban on a bunch of Muslims. He calls this “temporary” (90 days, 120 days, whatever). That’s just a word. Don’t listen to a single word that he says. Temporary is meaningless. A ban is a ban. Since he can extend it unilaterally, it is in fact permanent until revoked. This is how bullies work. How the Fascists worked. How neofascists work. Get used to it. They try something outrageous. If the pushback is large enough, they back off. For a while. And then they try something else. That worked? Fine, they say. Now they have a beachhead for the next outrageous action. So what else has the leader done in his first days in office? He gutted the State Department. Top officials’ pro forma resignations were accepted with no plans to replace them. Every American ambassador in the world fired. Again, just “temporary”. Don’t listen to the words, look at the actions. As with most authoritarianism, power is concentrated in a tight cabal. Steve Bannon named to the National Security Council. The people who actually know something about national security? Out. And speaking of trial balloons, a post by Yonatan Zunger, “Trial Balloon for a Coup?“, is worth a read. As part of the Muslim ban, the leader apparently ordered immigration officials to ignore court orders. When the courts are ignored, everything becomes an issue of raw power. During the campaign, the leader suggested committing war crimes to address the Mideast problem. Michael Hayden, a former general and director of the National Security Agency and Central Intelligence Agency, demurred, saying that troops would disobey an illegal order. I laughed out loud. Substituting force for the rule of law is the essence of a coup d’état. And yes, it can happen in the United States. If a democracy must rely on the military’s decision to disobey an illegal direct order, game over. Now the leader has fired the Acting Attorney General for openly questioning the legality of the Muslim ban. Richard Nixon did much the same, with the Saturday Night Massacre, when he ordered Attorney General Elliot Richardson to fire the special prosecutor appointed to investigate Watergate crimes. Richardson resigned instead. His deputy, William Ruckelshaus, automatically became Acting Attorney General. Nixon gave the same order. Ruckelshaus, too, resigned. Robert Bork was next in line, and complied with Nixon. That stoked the impeachment fires, but it would be another nine months before Nixon resigned in disgrace, his efforts to undermine American democracy repudiated not just by the people, but by his own party. The problem, as Zunger points out, is that this more closely parallels 1933 than 1973. Hitler consolidated power during his first five months in office in 1933. In a recent article, Die Zeit, quoting André François-Poncet (the French ambassador to Germany at the time), noted that with a puff of Hitler’s breath, the institutions of German democracy then “collapsed like a house of cards”. The White House cabal knows it has a six-month “honeymoon” period to get things in place. A good friend of mine, who died during the leader’s rise to power, said he was more like Berlusconi than Mussolini. I hope she was right, but I fear she was not. The good news is that people in countries like France, horrified, are asking things like, Could Marine Le Pen do something like that if elected? She could and she would, and worse. So perhaps the reaction will lead to some sanity elsewhere. Despite Zunger’s dismissal of the idea, a ground war is possible, most likely in Europe. A friend recently pooh-poohed the idea that Putin would attack Europe. What’s in it for him? Well, let’s say he needs “breathing space” against NATO encroachment. The rest of Ukraine (he already has Crimea) and Transnistria and Belarus for starters. And Putin needs a land corridor to Kaliningrad. That means a slice of Lithuania. In keeping with the leader’s campaign promises, expect NATO to be eviscerated. Will its remnants go to war over a small strip of Lithuania? Did the world care about the Sudetenland? I predicted, only half-jokingly, that a Clinton defeat could lead to a repeat of World War II — the forces of fascism vs. the forces of democracy. But this time, the forces of democracy would be led by Germany, Italy and Japan, while the fascists would be led by Russia and the United States. So, in a situation of powerless and unmanageability, made worse by fear and projection of future calamity, what’s a spiritual person to do? As I tell my friends, hope for the best and prepare for the worst. Make a plan. Now. Think about where and how you want to live. When they knock on your door at midnight, it will be too late. Find a cause to rally FOR, not against. The spiritual Law of Attraction says that whatever you keep in mind — positive or negative — will be drawn to you. Stop thinking about the leader and start thinking about where you want to go. Remember that Mother Teresa declined to attend an anti-war rally but was happy to go to a pro-peace rally. Create. In the darkness of McCarthyism, Arthur Miller wrote “The Crucible”. 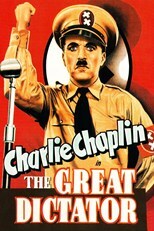 Charlie Chaplin skewered Hitler in “The Great Dictator”. You don’t have that level of ability? Don’t worry. Write a letter, talk to a friend, donate money — anything personal that you can do in favor of the cause you are rallying for. I like the American Civil Liberties Union. Laugh. The bullies can’t stand it. Don’t let Osama bin Laden or the leader have the last laugh. Angelo and I plan to go to Gimli, Manitoba, north of Winnepeg on Lake Winnepeg. We plan to fish and to let our beards grow long. You’ve nailed the grim situation. Glad you also offered some positive ways to fight this tyranny.